What is the Edmonton Sport and Social Club? The Edmonton Sport and Social Club was founded in 2004 to provide adult co-ed sports to Edmontonians. The goal of the ESSC is to encourage as many people as possible to ‘get in the game’. People can register as an individual, group or team in over 15 different sports with the Club. Anyone who participates in the Club is considered to be a member! If you are not currently playing in the Club but wish to receive updates via e-mail, just click here to sign up for a MyESSC account. It’s free to sign up and you only ever pay for the sports or events that you register for. I am just getting back in to sports, is this a good fit for me? The ESSC prides itself on being a fun first league and is the perfect place for beginners, experienced players and even those of us who are a little out of practice. We offer multiple divisions in most sports to cater to a wider range of skill/experience level. Our leagues are a great no pressure environment to get back in to the sports you love and get a little exercise. What does "Social" mean in the Edmonton Sport and Social Club? The “Social” aspect is demonstrated in a variety of different ways within the Club; this includes season-end parties, a sponsor bar program where players receive discounts on food and drinks, as well as a variety of tournaments (with after parties! ), throughout the year. Do you have a subs list? Be sure to leave a detailed comment indicating how the subs should respond to you – would you like them to email you? Call you? Text you? Give them any information they may require in order to contact you. Press ‘Send’. All subs who meet your criteria will be emailed immediately and will respond directly to you if they are able to fill in. Can I send a Sub Request for the first game of the season? If you know that you will be unable to attend the first game of the season, the ‘Request a Sub’ function will be available for use 2 days prior to your first game. Also, please remember to let your teammates know if you will not be attending a game! This function can be found in the player’s MyESSC account, under the ‘Subs’ tab. What is the default fee? If a team chooses to leave early and quit the game for any reason, including a lack of players, the team will also be subject to the default rules. Default fees are refunded directly to the team that was defaulted against as compensation for the missed game. Why did the default fee double when I went to pay? For double opponent sports (Volleyball, Badminton, Ultimate, Tennis, Pickleball and Squash), the defaults are per match, not per night. If a team defaults one night in the season they are required to pay a default fee to 2 different teams. The ESSC places a high importance on making daily weather calls for all outdoor sports. The weather call is made by 5:00pm on week nights and 12:00pm on weekends. The ESSC attempts to make the best decision possible for the players each and every day. If the ESSC posts “Games ON” and the weather takes a turn at or during game-time, we ask that all teams use their best judgement when it comes to starting or finishing their game. Teams are never forced to compromise their team’s safety. For more information on the weather policy and what to do in a rain out situation please click here. Team jerseys are encouraged but not required. Each player must bring a white and dark shirt to each game. Teams will decide at the gym who is wearing white and who is wearing dark. Players who do not have an appropriate shirt color to match their teammates may be asked not to play by the opposing captain. 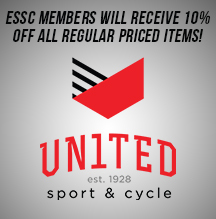 If a team is interested in purchasing jerseys all ESSC member receive a 10% discount off of custom jerseys ordered through the Club’s partner Print Machine. In the event you found an item, there is one extra step that we may ask of you! We ask that all found items be brought back to the ESSC office at your earliest convenience or given to an EC/GC so they can bring it to the office. From here, we can coordinate a way to get the item back to the appropriate person. What happens if someone gets injured during the season? If a player sustains an injury during the season and will have to miss at least one game, please contact the office to advise us of the situation. If you are a member of an Individuals Team, ESSC staff will assist you in finding a substitute or replacement player, depending on the severity of your injury and how long it will cause you to be absent from your team. Do you have a league geared towards older adults? Yes! The ESSC recently introduced a new offering called the 35+ Legends League. This league is for adults who are 35 years of age or older, with the goal of bringing 35+ players and teams together for the opportunity to play ‘Sports for Life’! The inaugural season for this league was in Summer of 2016, and the ESSC has seen a steady amount of positive feedback and growth since. When will my schedule be posted? All schedules will be posted no later than 11:00pm two days prior to your first game. This is the same timeline for Post-seeding and Playoff schedules. Check your schedule online before each game. Copying schedules into another program is not recommended as the schedule is subject to change. How do you build schedules? The Club takes into consideration 3 very important factors when building every schedule: the opponent matrix, location and facility distribution, and early/late timeslot splits. The number one priority when building a schedule is to ensure teams play all of the opponents in a league and avoid as many repeat match-ups as possible. The opponent spread is the highest priority as this helps to ensure we have the best representation of the league in the standings. Matrixes are then used to balance the location and time spread as even as possible. The ability to build a balanced schedule depends on the facilities and times available, while we cannot guarantee it will always be perfect, we do our absolute best to ensure that each team has an even spread of locations and times. Since each match-up effects 2 teams and there may be varying locations and times from week to week, it is not always possible to create a perfect schedule. Teams are able to submit requests for specific times and locations in the comments section of the registration form, but we cannot guarantee they will be met as it does depend on the facilities and times available. We will not negatively affect the matrix for another team in order to fulfill a request, requests will only be fulfilled if the overall schedule is still kept as fair as possible. I have alot of late games, why is this? The ESSC tries to give all teams a fair distribution of early or late games. Teams may find that on their schedule there are more late games though, this is because youth groups and schools have priority for earlier rental times. High School gyms are blocked off for use by the school until 8:30pm unless otherwise agreed to by the school and confirmed by the City. The next priority goes to youth groups , who generally have preference for earlier gym times. As a result ESSC has a much higher percentage of rentals that run from 8:30-11pm and a limited amount of time from 6:00-8:30pm. Why was my schedule changed? How do you decide which division teams get placed into? Prior to the start of each season, ESSC staff look at teams’ past seasons in our leagues, along with checking their rosters and a few other factors to determine which division and sub-division teams are best suited to play in. Can we move to a lower division? Each season, we re-evaluate standings across all leagues (typically around the week 3 mark) and decide if there are any teams that should move up or down divisions based on how well or poorly they are performing. This is done to help even out divisions as best as possible. All Teams in Team Captain sports are responsible for ensuring their team’s score gets entered by 5:00pm the day following their game. Teams playing a sport with a Games Coordinator or Events Coordinator need to confirm their score with the EC/GC before leaving the field/gym. Scores are reported online through MyESSC. Enter Game Comments, if applicable. If the facility is in urgent need of attention, check the box that says "Urgent: This facility requires immediate ESSC follow-up." What do I do if my standings are incorrect? If the score for a game has been recorded inaccurately, the team captain should contact info@edmontonsportsclub.com within one week of the game in question. Concerns brought to the attention of staff after the one week deadline are not guaranteed to be amended. All registrations are done online through a MyESSC Account. If you do not already have an account set up, you will need to create your free account first. Once your account is created and activated you can register for the league of your choice. For complete steps on how to create your account, and/or register please click here for our How-To guide, or refer to the “Register” and “Create a MyESSC Account” sections. What does my registration status mean? Odd Team Out: Your registration has been received. We are waiting for another team to register to confirm your spot in the league. Each league the ESSC runs needs a minimum of 4 teams, with the exception of Badminton, Pickleball, Tennis and Volleyball where a minimum of 8 teams is needed. Placement Confirmed: Congratulations, you have been moved into the league! Refund in Progress: Your refund request has been started and will be fully processed soon. Refunded: Payment has been credited to the card that was used to register and will appear in your account within 1-5 business days. Unpaid: Your registration has been received, but it cannot be processed until full payment has been submitted. Waitlist: This league is at capacity. ESSC is in the process of securing more facility time to accommodate your registration. Can I add or delete someone from my Individual or Group registration? The ESSC builds teams for individuals based on the number and gender composition of the players invited to each registration, as such it is the responsibility of the person who completed the registration to ensure that the composition of the original registration is maintained. With that being said, players can reach out to ESSC staff to inquire on the status of the league they are registered for and the possibility of a registration change. Players can typically add another person to their current registration with no issues up to the deadline, but afterwards it can become more difficult as teams could be getting close to max roster sizes. Players need to contact the office if they would like to replace a current invitee with someone else or add another member to their registration. How can I be sure I am placed on the same team as my friend? One person can register as an Individual and invite the other directly onto the same registration. This option will require that the person completing the registration pay for everyone invited, however you will then come through on our end under the same registration number which means any time we move one of you, the other automatically follows. Register separately as Individuals, and in the comments section in Step 1 of the registration process, leave a comment saying “I would like to be placed on a team with [name]”. When registering what sort of waiver and policies do I need to agree to? Someone has recruited me to play for ESSC on Facebook/Kijiji/Social Media. Is it legitimate? Although there are many legitimate teams on social media looking for more players, there are always some risks associated with these forums. Meet in-person: Similar to any Kijiji purchases, be wary of anyone that wants the money sent via e-transfer in advance. Confirm Information: Check that we are indeed offering the sport/division they are suggesting. Reach out to us: We can work with the Team Captain to help confirm their team information and get you confirmed on the roster. In addition to this, always keep in mind that we do offer individual and small group registration. If you don’t have a team to play with, you can register with us on your own (or with a few friends) and we’ll place you on a team. Please contact us immediately if you believe that you have been a victim of such fraud. 780-429-4263. What are the registration dates and fees? All registrations are taken on a first-come, first-served basis, which means players who register early will get priority when being placed in the league. Post-deadline the ESSC staff work diligently to finalize leagues in order to get schedules to players as soon as possible. It is always a possibility that your desired league may still have room, but your chances of being placed in the league are greatly reduced, as such players are encouraged to register as early as possible! ESSC staff update the last-minute availability regularly to keep players informed of their options post-deadline. The ESSC accepts Full Team, Individual and Small Group Registrations. Full teams are registered by a captain who is responsible for building their own roster. The ESSC creates a full Individuals Teams from Individual and Small Group registrations (Individual registrations are 1-4 people and Small Group registrations are 5-8 people). Players who are signed up in the same Individual or Small Group registration will always be placed on the same team together. Can I register to play part time? The ESSC encourages players who are testing out a sport for the first time or unable to commit to a full season to register as a sub. Registering as a sub is free and allows players to get in the game without committing to the full season. Sub registration opens the day after the registration deadline and remains open for the duration of the season. Are there discounts for registering in multiple leagues? The ESSC offers 2nd and 3rd sport discounts to players who are Individual registrants in multiple leagues. The 2nd sport discount is a $30 deduction in fees, and the 3rd sport discount is an additional $20 deduction. This discount is only offered to Individual registrants, and is not applicable to players who are part of a Full Team or Small Group Registration. Pay for each registration online in full, send us an email once those registrations have all been paid for, and we will manually refund the difference onto the credit card used within 2-5 business days. Select ‘In Office’ payment for your second/third Individual registration, and then give us a call at the office and we will take a credit card over the phone for the exact amount of that league with the discount applied. Do you give refunds for cancelled registrations? In order to receive a full refund, cancellations must be submitted 2 business days prior to the registration deadline. After this date, no team or player will be eligible for a full or partial credit or refund. If a player registers after the cancellation deadline, they are eligible for a refund any time prior to receiving a placement confirmation from the ESSC. Once a confirmation email has been sent, the registration is no longer eligible for a full or partial refund. How do I use a gift certificate towards my registration? What are Online Player Orientations? Online Player Orientations are a tool for players to acquire important information about their leagues to ensure they have a successful and fun season. One of the biggest perks is that OPOs can be completed at the players convenience. Players may be required to complete up to five orientations in their first season; each taking anywhere from 5 and 20 minutes to finish and players are able to start, stop, and restart each orientation when necessary. Who needs to complete Online Player Orientations? All Individuals, Small Group registrants, and new Team Captains are required to complete Online Player Orientations. A goal of the ESSC is to ensure that every team and player has a great experience and OPOs are an essential resource in helping us meet this goal. What happens if my Online Player Orientations are not completed? OPOs must be fully completed with a score of 100% prior to the start of the regular season. Full teams who do not meet this requirement will lose 1 spirit point for their first game. I completed an OPO last season, why do I have to do another one this season? Required orientations are based on the current seasons registration, and takes into account past playing history as well as past OPO completion. An example of the orientations a Floor Hockey Team Captain would need complete are: General --> Team Captain --> Indoor --> GC'ed Sport --> Floor Hockey. If the Team Captain has previously completed the General OPO, they would not have to complete it a second time. Players are only ever required to complete any OPO once in their ESSC career. How do I create a MyESSC profile? Enter your e-mail address and a password (you must also confirm your password). You must now login to your e-mail server and look for an e-mail from "ESSC Info"
Your profile is now created and active! Click on the tab 'MyESSC' to view your Current, Upcoming, and Previous Registrations. Here, you can also report your scores, view your standings, message your team, request a sub, and more! Why do I get error messages indicating my account has not been activated or is blocked? When creating a MyESSC account players must verify the email address used to create the account. This is done through a confirmation email from “ESSC Info” that is sent to the email used to initially create the account. Open the email and click the link within to confirm your MyESSC account. Often times at this point players may select “forgot password” and receive the following message: ‘Sorry, ________ is not recognized as a user name or an e-mail address’. Again this error message is a result of not activating your account. If the account has not been activated right away or the email has been deleted or ended up in a spam folder players will need to contact the Club to get their account activated. All players who play with the ESSC have the option to add a person to their registration or team by sending them an invite. The ESSC requires that all players participating in an leagues or tournaments agrees to the Edmonton Sport and Social Club Liability Waiver. This waiver is signed by anyone who directly registers online, or by accepting an invite to join a registration. Players can accept invites directly through their MyESSC accounts or through the email address used to invite them to a registration or team. Please note that if an invite is sent to an email address not associated with the player’s MyESSC account the invite will not show up. In this case the captain should resend the invite using the correct email. In the case of Individual and group registration the office will need to be contacted to update the email address. For a full step by step breakdown of how to accept an invite visit this page. What is the roster policy? All teams need to have the minimum roster requirement confirmed on their roster prior to their first game. Teams will receive a loss for their first game and every game played until they meet the requirements. Teams must fill out their complete roster, prior to their first playoff game. To learn more about our roster policy please click here. Why do we need to complete a roster? The most important reason to have all players on the roster is it is their way of signing the waiver, which each player must do before playing in any ESSC league. A complete roster is commonplace in all sports leagues, as it's important for any organization to know who is playing in their leagues. Having the rosters completed also helps control sportsmanship, team communication, accurate league placement, etc. Ultimately having full rosters will be beneficial for the teams! We won our last game, why are we showing a loss with the comment “Incomplete Roster”? When teams register they agree to the roster policy, which states that teams must have the total number of players needed on the court/field confirmed on the roster in MyESSC prior to the first game of the season. If this minimum is not met teams will receive a loss for that game and every game played until this requirement is met. Where/when will my games be played? Public gyms: The ESSC tries it’s best to give teams a fair distribution of Citywide games, however, with the majority of schools situated in residential areas there is quite a limitation of gyms in central Edmonton. As a result games will mostly be situated in the North or South of the City. Among the gyms in the ESSC we do give all divisions an equal balance of North and South games based off the gyms for your sport. Private gyms: Many of our Sports can only be played in specific gyms. As a result the ESSC works to balance out a fair distribution for teams between the private facilities while also balancing North and South. You may notice that your league is scheduled mainly in one part of the City, this is due to the distribution of our gyms. Most floor hockey and soccer gyms are situated in North Edmonton. Public playfields: The fields/diamonds the ESSC rents have to fit specific sizing requirements which can make availability even more difficult. The club does work to schedule teams evenly throughout the City based on our rentals for each sport and night, but players should be expected to play throughout the City. Due to the sizing requirements for adults, most shale Slo-Pitch diamonds are located in the North and most Soccer fields are located in the South. Premium Athletic Parks: There are three adult Athletic Parks for Slo-Pitch in Edmonton, John Fry and Goldstick Park which are run by the City and Airway Park which is privately run by the Edmonton Seniors Slo-Pitch Association. Both John Fry and Goldstick Park are located in South Edmonton where ESSC is able to consistently rent the most time. There is potential for games to be scheduled at Airway Park, however, these will be infrequent. Unless a specific location is part of the league name teams should plan to play at any of the three Athletic Parks. Our whole team lives in one area of the city, is there a way to only play games there? In step 1 of the registration process, there will be an opportunity to include any special requests players may have about game time or location for the season. The ESSC will do our best to accommodate teams, while still keeping the location/time distribution as fair as possible for other teams. Additionally, instead of registering for a Citywide league and making a special request, there are a few regional leagues offered where games are only played in certain quadrants of the city. As well a couple leagues are only played at one facility all season. Each offering will either indicate that it’s Citywide, played in a specific quadrant (e.g. North) or indicate the exact facility that league plays at (e.g. Commonwealth). Can I make special requests on specific game times and locations? Absolutely! In step 1 of the registration process, there will be an opportunity to include any special requests players may have for the season. The ESSC will do our best to accommodate teams, while still keeping the location/time distribution as fair as possible for other teams. Why can’t we play only at this one facility/field each week, it’s better than the others? The ESSC rents numerous facilities/fields throughout the City to accommodate all players and make it as fair as possible. We distribute gyms/fields evenly among all teams to give a good balance. There may be gyms/fields that are higher quality than others, but in order to run successful leagues, we rent based on both quality and availability. Many gyms/fields are simply not available every night of a season. We are continually improving our facility/playfield line-up and working hard to get the best gyms/fields possible, but there will be a difference in gyms/fields throughout your season. We do offer Premium Leagues which only play out of specific gyms/Athletic Parks, please see Offerings for more details! What do I do if I arrive at my field and there is a different group already there? The ESSC rents the majority of outdoor fields and diamonds from the City of Edmonton Parks and Recreation Department. The ESSC has permits for all the fields games are being played on, as such it is extremely important to bring your permit with you to every game! It is your proof of right to use the field. I am unhappy with the facility we played at last night. Who do I talk to? In team captain sports the score entry form requires that players rate their facility each week, and there is also an opportunity to leave comments. These ratings and comments are reviewed by ESSC facility staff who will work to improve the situation and address the issue. Teams who have an EC or GC present at the game can provide feedback to them, and they will report the issue to the ESSC. If a player would prefer to address the issue in an email they can do so by emailing info@edmontonsportsclub.com. What are some facility Dos and Don’ts? Are we allowed to drink alcohol? Facilities are the foundation of our organization and without them we would not be able to play ANY sports. It is very important to respect each facility and their caretaking staff. If we receive 3 complaints within 3 years, we could lose our facility. If teams do not follow our policies, they could be fined $100 and suspended from league play. Why aren’t there port-o-potties at every field/diamond? The ESSC does pay for port-o potties at several heavy utilized locations, but with the amount of diamonds and fields utilized by the ESSC each night and the cost associated with renting/maintaining port-o-potties it would increase the team fees significantly. With past surveys it has been determined that players would prefer a lower league fee than washrooms at each field. There are always options to travel to the closest gas station, convenience store, etc. if needed. When/where can I pick up my equipment I purchased/rented for the season? The ESSC sets specific pick-up/drop-off dates each season for players to get their equipment for the season or to bring it back after they have wrapped up the league. These dates are important to follow as the Club distributes the equipment out of our office, but are not regularly set up for distribution. Pick-up and drop-off dates are updated on the website and can be found here. The facility has damaged equipment, how can this be repaired? The ESSC takes prides in the gyms we rent for your sports. If there are ever any issues we ask that you bring this up with either your EC/GC or email the club at info@edmontonsportsclub.com. We work with our facilities to provide equipment for all sports, we will go to gyms and repair or replace volleyball equipment and nets. We provide gyms with adult high quality hockey nets, and provide our own pop up soccer goals. Each time we receive feedback about broken/damaged equipment we work to have this equipment fixed and ready to go before the next scheduled games. What size of net do you use for soccer? Can I buy it somewhere else? As of Spring 2016 the ESSC has made it mandatory for all soccer teams to bring a net to each game. Teams are not required to purchase their net directly from the ESSC, but the nets sold through the Club are a great deal. The ESSC sells nets at cost in a package that includes a bucket, pegs, velcro straps and cones. I rented Slo-Pitch equipment and lost one of my bases. Can I get a replacement? If a base is lost from a rental set of equipment, players can rent a replacement. There would be an additional rental fee depending on the base that needs to be replaced. When the equipment is returned at the end of the season, there will be a deduction from the deposit for the missing base. Please note double-opponent racquet sports and Volleyball do not use the spirit rating system listed above. Why can’t spirit ratings change after it has been published? Each team has the opportunity to rate their opponent following each game. Even though you may not have thought there were issues at the game, the other team may not agree and should have an equal opportunity to assign a spirit rating as they deem to be appropriate. I gave my opponent a -1 spirit rating, why does it show as a 0 instead? Teams must submit a complaint form by 5:00pm the day following their game in order for a -1 score to stand. If no complaint form is submitted, the rating is altered to a 0. ESSC Staff also reserve the right to change spirit ratings if it is believed that they are not warranted and/or an appropriate representation of team's play. Click here for a link to the Sportsmanship Complaint Form. Why does the ESSC not publish sportsmanship follow-up / suspensions, or make the information public? Follow up is done privately between ESSC staff and the team in question. Teams often discuss their previous games with other teams in the league and talking about sportsmanship issues from previous games could create an unfair perception of a team who is working to improve their sportsmanship. What is the process for handling a sportsmanship complaint? The ESSC will review the game report and/or complaint form to determine the severity of the incident. The ESSC will conduct further investigation when necessary; this may include follow-up phone calls to ECs, GCs, Team Captains, or specific players from a game. The ESSC will file the game report and issue one or more of the following verdicts: No Follow-Up, Feedback, Warning, Zero-Tolerance Warning, Suspension, Ejection. We played a great team, is there a way to recognize them? Good sportsmanship is what the ESSC is all about! As such, the Club likes to acknowledge and reward teams who embrace the Fun-First, Winning-Second mentality. The ESSC has 3 programs in place to reward teams who have great sportsmanship and they are: Team of the Week, Lady Bing, and Honour Roll. To nominate a team for good sportsmanship, click here. We think that the opposing team brought in a ringer, what should we do? Talk to the opposing team captain about the player at the earliest opportunity. Get details on the player’s involvement with the team this season. Request the name of the player and report this player’s name in your score submission. If you are playing a sport with a GC or EC, involve them in the conversation and allow them to report the player's name in their game report. A player is eligible to play in playoffs as long as they have already played one regular season game with the team. If a team is not in the top 4 for playoffs they are then able to bring in any sub to ensure the team has enough players for a good game. What is a Games Coordinator (GC)? Games Coordinators (GCs) are part-time employees who are paid by the ESSC to facilitate games in the following sports: Basketball, Dodgeball, Floor Hockey, Handball, Multi-Sport, Indoor Soccer and some Outdoor Soccer. Why doesn’t the GC make all of the calls? GCs are not trained to be fully carded referees/officials for each sport. While they are trained to have a strong knowledge of the rules of the sport, they present to mediate the game and manage the facility booking. As a fun-first league, the ESSC puts the onus on players to call their own fouls and infractions during the game. How come I can’t have the same GC every single week? GCs are scheduled based on their weekly availability and that is balanced with weekly availability of facilities all around the city. In some cases, the GC’s availability and the facility availability matches the entire season, but sometimes it is not always the case that teams are playing in the same facility week after week. What if there isn’t a GC at my game? If there is no GC at game time (GC is running late, mix-up in scheduling, etc.) players should first call the emergency line to notify the ESSC that there is no GC. They are then encouraged to get the game going themselves, especially if the sport they are playing does not have any GC supplied equipment. That way, if/when the GC does arrive, games are not running behind and no teams have to have their game times cut short. If there is no GC is present at the game, players must keep time and score. Captains should confirm the score often during the game to make sure that there are no discrepancies. If the GC does not arrive team captains must email in their scores and sportsmanship ratings to info@edmontonsportsclub.com by noon the next day. I loved my GC, who should I tell? Each season the Club recognizes a select few excellent GCs with the GC of the Season Award. Each winner is nominated through player submissions, ESSC Staff recommendations, and/or based off the Field Advisor and GC Head Trainer evaluations. The goal is to award those that display a positive and friendly attitude, while at the same time getting involved with the games and providing players with the best experience possible. To nominate your favourite GC click here. How do I apply to be a GC? Fill out an application and questionnaire on our website by clicking here. What is an Event Coordinator (EC)? Event Coordinators are recruited players, from the league they registered in, who agree to help facilitate games in the following sports: Badminton, Curling, Volleyball, Flag Football, Ultimate, Tennis and Pickleball. For a complete breakdown of the EC role and rewards, please click here. How do I become an EC? For any sports that require an EC, players can indicate their interest in being an EC right on their registration form. There is a checkbox in step one of the registration that players can select if they would like to be an EC for that season. Alternatively, players can email marissa@edmontonsportsclub.com to apply for being an EC in the league they are playing in for the season. What are the perks of being an EC? Where can I find a list of tournaments the ESSC is offering for the year? Please note that dates for all of our tournaments may not be available at the beginning of the year and may be updated as we get closer to the tournament date. When does registration for a tournament open? What is the tournament cancellation policy? For local tournaments, teams must contact the ESSC office no later than Friday the week before the tournament to receive a full refund. For Battle of Alberta Tournaments, teams must contact the ESSC office no later than 15 days before the event (i.e. on the Friday, 2 weeks before the event) to receive a full refund. Refunds will not be given after this point. Can I register as an individual for a tournament? Yes, you are welcome to register as an individual for ESSC Tournaments and we will do our best to place you onto an Individuals Team. These teams are dependent on whether or not we have enough players and meet any co-ed restrictions so we typically cannot confirm at the time of your registration whether you are confirmed in the tournament or not. If we are unable to place you onto an Individuals Team, you will be contacted and fully refunded. Can I request to play in the same division as my friend’s team? If so, how? Yes, you may request to be placed in the same division as another team. The best place to do this is in the comments box that you’ll see at the beginning of the registration process. However, you are also welcome to email the ESSC office to make requests. 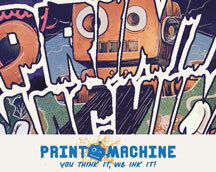 The earlier you can make requests, the more likely we will be able to accommodate you. Also, if you and another team would like to play in the same division or at the same location, it is helpful if you ensure that you register in the same division. When and where are tournament schedules posted? In most cases, the tournament schedule is not sent to teams in advance and will be available at the facility the morning of the event. The reason we cannot send the schedule out early is because there is a chance that there will be last minute changes and we cannot risk teams having inaccurate schedules. The only exceptions include Slo-Pitch Tournaments and Sno-Pitch Tournaments. I want to play in a weekend tournament but I have an ESSC league conflict, what do I do? If you are hoping to play in a local ESSC Slo-Pitch Tournament, please Click Here and then select ‘Weekend League Conflict Information’. If you are hoping to play in a Battle of Alberta Slo-Pitch Tournament, please Click Here and then select ‘Weekend League Conflict Information’. If you hoping to play in an ESSC Outdoor Soccer Tournament, please Click Click Here and then select ‘Weekend League Conflict Information’For all other tournaments, if you have a league conflict, you will have to plan ahead and find subs for you league game. Please feel free to use our ‘Request a Sub’ feature. When/what are the Battle of Alberta’s? The Battle of Alberta (BOA) tournaments are hosted by the Edmonton and Calgary Sport and Social Clubs. Teams from Edmonton and teams from Calgary will meet at a central location (e.g. Red Deer or Sylvan Lake) to compete against one another. Currently we host an Indoor Volleyball Tournament and a Dodgeball Tournament in Red Deer, 2 Sylvan Lake Beach Volleyball Tournaments and a Sylvan Lake Slo-Pitch Tournament throughout the year. Teams will earn points for their city during the Round Robin and Playoffs and the competition continues at the After-Party, where you’ll enjoy various games. The winning city is then crowned! To see the current BOA Score, Click Here. What is a Season End Party? At the end of each season, the ESSC hosts a party for all players! Win or lose, everyone is welcome to attend. At the party, championship teams will be presented with their league championship t-shirts and will have the opportunity to have their photo taken for the ESSC website. There is also food and drink specials, as well as door prizes and games throughout the evening. Do I have to go to the Season End Party to pick-up my t-shirts? Although it is preferred that all teams pick up their shirts at the Season End Party, if you cannot attend, you will be able to pick them up from our office. Anyone from your team may do this during regular office hours starting the Monday after the Season End Party. However, there will be a set pick-up deadline for all teams and we cannot guarantee teams their shirts after that point. What deals do I get as an ESSC player? 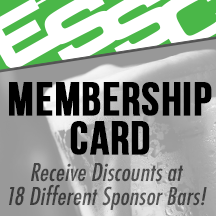 For the most up to date exclusive offers you receive as a member of the ESSC, always refer to our ESSC Player Perks as we are always adding Sponsor Bars and Partners to the lineup for you to take advantage of! How do I access the Membership Card? Bookmark the Player Perks page for easy access in the future! How do I claim my Sponsor Bar/Partners deals? The Sport and Social Club is the largest organizer of co-ed, adult sports leagues, social events, and tournaments in Alberta. The Club offers adults countless ways to be active, have fun, and meet new people across the City of Edmonton year-round. A partnership with the Edmonton Sport and Social Club offers an opportunity to get your brand in on the fun, on and off the field: help build brand awareness, create brand association, deliver targeted communication, and demonstrate a commitment to the local community. Contact Caitlin at the Edmonton office at caitlin@edmontonsportsclub.com for more information. How do I become a Sponsor Bar? Help put the 'Social' in Edmonton Sport and Social Club! Becoming an official Sponsor Bar with the Edmonton Sport and Social Club offers an opportunity to get your brand in on the fun, on and off the field. Help drive sales, build brand awareness, create brand association, deliver targeted communication, and demonstrate a commitment to the local community. Contact Caitlin at the Edmonton office at caitlin@edmontonsportsclub.com for more information. Can I switch sizes or request additional League Champ t-shirts? Teams may contact the office to request different sizes and/or additional League Champ t-shirts after receiving them at the Season End Party. We will take note of their request and follow-up with them after our t-shirt pick-up deadline. At that point, the remaining shirts will be distributed to teams and we will do our best to fill all requests.